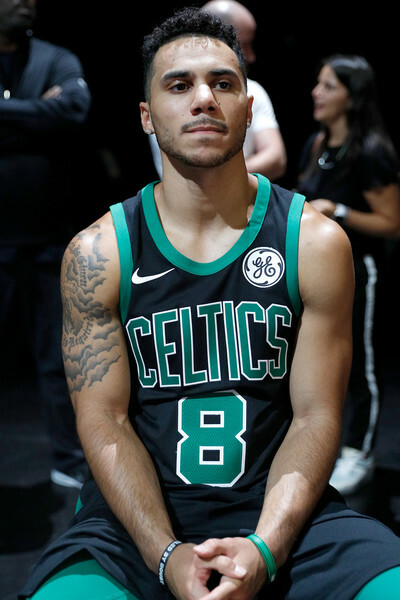 Shane Larkin is averaging only 11.3 minutes per game this season, but he was on the floor for 24 in last nights' win against the Charlotte Hornets. He notched 11 points on 4-of-6 from the field and 3-of-4 from beyond the arc. He added three rebounds and two assists. Hell of a job by Shane Larkin defensively in fourth quarter. Helped to limit Kemba Walker to just two points in frame after scoring 22 points over first three quarters. His offensive efficiency was only part of the story. His defensive work on Kemba Walker was outstanding. Walker came back into the game with 7:45 left in the fourth quarter with 22 points under his belt. Shane was "in his shirt" as the late Johnny Most used to proclaim, and Kemba's only hoop was a layup with 6:17 left in the game. He never scored again. Walker was one-for-five in the final six-plus minutes of the game. Larkin seems to enjoy feasting on the Hornets. In the above video Shane scored 16 points in 17 minutes against Charlotte on November 10 and was 5-of-8 from the floor and a perfect 4-of-4 from the charity stripe. Shane Larkin doesn't have height or wingspan, but he does have athleticism and heart. Last night he played double his usual minutes and was on the floor in crunch time. It paid off for Boston.